Nationally-recognized Arizona chef and restaurateur, Jeff Smedstad of the Elote Cafe in Sedona is hosting a book signing for his new cookbook Elote Cafe Notebook, at Changing Hands Bookstore in Phoenix on Monday, September 11 at 7pm. The 280-page, 200-recipe Elote Cafe Notebook ($35) is a follow-up to Smedstad’s top-selling Elote Cafe Cookbook, (now in its 7th printing) and features the same straightforward yet innovative recipes that have made Elote Cafe one of Arizona’s most popular dining destinations. Hosted at Changing Hands Bookstore in Phoenix, the signing will allow Phoencians to learn about Jeff’s history as a chef, his inspiration behind the cookbook, plus share some tips with home chefs from his cookbook. 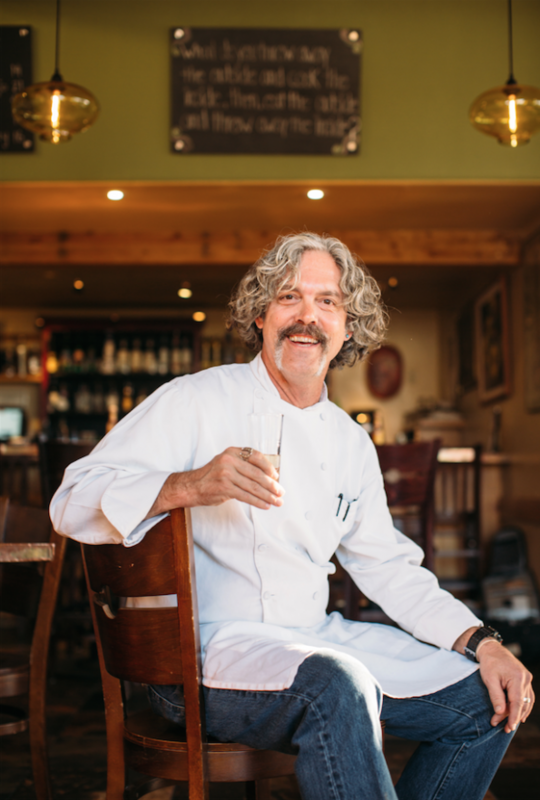 In addition to learning about his history and the cookbook, Chef Smedstad will be serving up small bites from a recipe within the cookbook. The presentation will begin at 7pm, followed by Chef Smedstad signing books for attendees. The Elote Café Notebook features Jeff’s unique takes on Southwestern cuisine. Think smoked pork cheeks with cascabel chile sauce, cumin-buttermilk drizzle and corncakes inspired by Smedstad’s grandmother. Or a spicy bean dip crafted with heirloom Native American Anasazi beans that were lost for millennia until they were accidently rediscovered inside a sealed clay pot in the 1950s. Meanwhile, cocktail & spirits lovers will savor the dozens of refined tequila- and mezcal-based recipes, including adding fresh raw beet juice to any margarita for an earthy, sweet kick, or the secrets to a true sangrita chaser (think outside the tomato), or why you should never serve a citrus chaser with añejo spirits, unless it’s orange slices sprinkled with chile-infused salt. Founded in 2009, Elote Cafe’s authentic yet modern Mexican & Southwestern cuisine is culled from Smeadstad’s 20-plus years of travel across Oaxaca, Veracruz, Puebla and the American Southwest. Overlooking the scenic Red Rocks of Sedona, Elote Cafe proudly features seasonal, locally grown ingredients, plus a handpicked cocktail menu highlighted by the finest tequilas and mezcal. Prior to relocating to Sedona, Smedstad previously co-founded Los Sombreros Mexican Restaurant in Scottsdale, AZ. Named one of the AZ’s Best Restaurants in 2016 by Phoenix Magazine and Sedona’s 9 Best by the Arizona Republic, Elote Cafe has also drawn rave reviews from national media including MSN.com (America’s 50 Best Mexican Restaurants), Fodor’s Starred Review, and the Gayot/Fox News (Top 10 Mexican restaurants in the US). Chef Smedstad has also been personally profiled in the Chicago Tribune (Chef gets a very fresh start, menu in Sedona) and the NY Times (Fruits of the Desert Sun), The Boston Globe, the Toronto Star and Sunset Magazine among others.